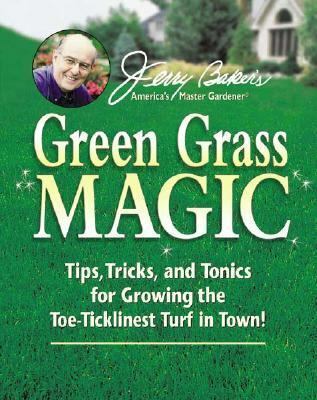 Jerry Bakers Green Grass Magic Tips, Tricks, and Tonics for Growing the Toe-Ticklinest Turf in Town! This definitive lawn-care guide provides professional secrets, seasonal tips and recipes for homemade fertilizers to improve the attractiveness and health of grass from seed to sod.Baker, Jerry F. is the author of 'Jerry Bakers Green Grass Magic Tips, Tricks, and Tonics for Growing the Toe-Ticklinest Turf in Town!' with ISBN 9780922433391 and ISBN 0922433399.